The benefits of automated email campaigns are many, and improving automated email campaigns is something my team and I focus on all day, every day. Why? Automated campaigns deliver better results—it’s just that simple. Users will tell you what their interests are, by way of their actions. Once you’ve set up your original campaign, by setting up an automated campaign triggered by that user’s action or behavior, you can nurture your leads along with pretty much zero effort on your part. Targeted content is delivered based on a need, signaled by that user’s action. Even better, you can segment as the campaign goes along. For instance, if a recipient responds to one email and not another, you can move them into a different, more targeted segment. As explained above, automated email campaigns have proven to be much more effective than one-off emails, so marketers get the benefit of increased ROI. However, it’s important to understand that technology alone isn’t the answer. Technology enables the automation, but the success of automated email campaigns depends largely on the strategy of the marketer. That means creating good content to accompany those email campaigns is a given. Technology only allow you to deliver the message—if the message is poorly crafted or not compelling, conversions are not likely to happen. Set Goals. Ask yourself what the goals are for each email you send, as well as for the campaign itself. Is this a welcome email series meant to drive more sales? A lead nurturing series meant to get someone into the sales funnel? Know what you want each email to do and what you want to accomplish with the series. Then, either start from the end (if this is a new series) or review your existing campaign (if it’s already running) to make sure it’s working toward those goals. Go for the “Yesses.” Don’t overlook the power of small victories—we call those the “little yesses.” In each email, have a small ask, such as clicking on a link to learn more, downloading a whitepaper, or following on LinkedIn. Over time, these small “yesses” add up to big success. They help you build trust and credibility and deepen your relationship with the recipient. Target Based on Triggers. Stay targeted on the audience based on the action that triggered the campaign. What do you know about them based on the fact that they took that action? What are their pain points? Interests? Keep your content focused on those thigns and adapt as needed. You’re nurturing them along a path, remember? Stick to that path. Don’t send sales-y “why we’re so great” type emails as part of these series, but rather emails focused on building a relationship and showing the recipient that you can help with their problem. Follow the Path. Craft each email in the series as part of a path you’re leading the recipient along. Read the emails as a sequence. Do the emails make sense when read that way? Does one lead to the next? Do they follow a logical path from the point of view of the recipient? Are they consistent in voice and tone from one to the next? If you’re not sure, have someone else read them before you get this campaign finalized. Fresh eyes sometimes make all the difference. Be Consistent. Use consistent subject lines so that recipients start to recognize the emails in your series. You might even number them. Organize Your System. Organization plays a big role in campaign success, and that’s as true for your internal team members as anything. Think ahead and be kind, to both yourself and your coworkers. Make sure your labeling of each element of the automated campaign is crystal clear to anyone who might need to access the emails—including you, later on, after you’ve forgotten what’s what. You need a naming system that works for everyone, today and This applies to both the emails in the campaign and any content assets used as part of the campaign. I’ve seen automated email campaigns named without any kind of logic, which only leads to headaches later when someone needs to update content or the sequencing. 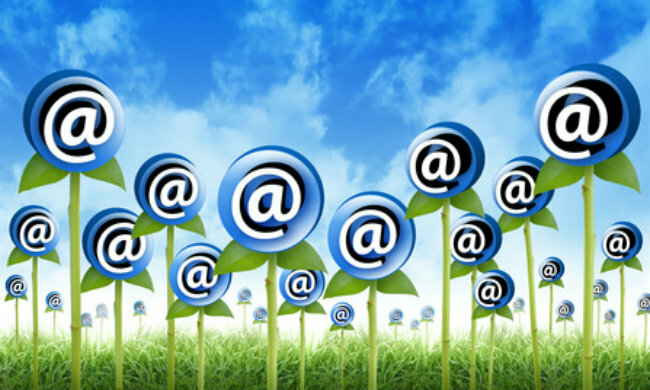 Automated email campaigns can deliver big results, which is what we’re all working toward. To improve on your automated email campaigns, treat them as pieces intended to work together, not a series of one-off emails. Also, remember to keep things fresh. Revisit your automated campaigns every few months to ensure they are current. Although there’s a tendency to “set it and forget it” with automated email campaigns, links change, products change, needs change, times change, and you definitely do not want to be automatically sending out irrelevant emails because you simply forgot to stay on top of your automation! As a final step, be sure to keep up with the email analytics associated with each campaign (and email within that campaign) so you can react right away when something is going well—and also know if something’s gone horribly wrong.